If climate bankruptcies are taken to include those caused by climate activism or perverse climate policies, then there are many companies made bankrupt by the Climate Industry. PG&E is the latest example. Last week, California utility PG&E filed for Chapter 11 bankruptcy protection in the face of an estimated US$30 billion of possible liabilities related to the disastrous California wildfires in 2017 and 2018. The climate crusaders of the mainstream media have been atwitter with claims that PG&E represents the “first climate bankruptcy.” That’s because PG&E’s power lines are believed to have sparked fires in dry vegetation, and that dryness was the result of an extreme drought due to climate change brought about by fossil-fuelled industrial society, and greedy, feckless oil companies. It’s a stretch. That climate change is an existential threat to companies’ health has been a growing theme of the UN-based Climate Industry. The PG&E collapse will likely ramp up the already intense demands by climate activists for companies to confess that their business models fail adequately to reflect climate risk. Indeed PG&E has itself sought to blame climate change — that most nebulous and subversive of concepts —for its travails. But such a claim represents neither science nor policy guidance. It represents desperation. 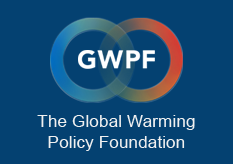 One of the most prominent promoters of the disclosure of emissions and climate programmes is a London-based NGO named CDP (previously the Carbon Disclosure Project). But one problem for CDP’s credibility — and the whole notion that confessing to contrived carbon crimes is, as disclosure advocates claim, “just good business” — is that the now bankruptcy-threatened PG&E has been the very model of climate concern. CDP had dubbed it “one of the leading companies in the world when it comes to openly sharing public information on greenhouse gas emissions, emissions reduction targets, and the implications of climate change for its business.” Fat lot of good it seems to have done them. Perhaps they should have concentrated more on trimming dead trees near transmission lines. CDP claims that “By scoring businesses from A to D–, we take organizations on a journey through disclosure to awareness, management, and finally to leadership.” Unfortunately, PG&E found itself leading the way into burning forests, personal tragedy and a potential conflagration of its balance sheet. PG&E ranked an “A minus” in 2017. If this disclosure ritual was meant to assure investors that PG&E was a sound investment, they were misled. Indeed, one wonders if a good lawyer might look at whether CDP is itself subject to legal action on that count. Meanwhile, the last thing that PG&E’s stumble justifies is any redoubling of international climate conferences to conjure up more fake commitments. It is bordering on insanity to suggest that the way to deal with California wildfires is to force more solar panels on Burundi, windmills on Spain, or electric cars on China. One of the successes of the Climate Industry has been to conflate all natural disasters or extreme weather with climate change — which is now conventionally taken to mean “catastrophic man-made climate change.” However, the notion that PG&E represents some kind of corporate climate tipping point is absurd. Businesses without sufficient insurance have been driven into bankruptcy by natural disasters since the Great Flood. If climate bankruptcies are taken to include those caused by climate activism or perverse climate policies, then there are many companies in Alberta made bankrupt by the Climate Industry’s campaign to close off their expansion. And what about those alternative energy companies that went under when their subsidies were withdrawn? If Tesla fails, will it become the world’s largest “climate change bankruptcy”? California has faced energy crises in the past based on flawed regulation and deregulation, and the success of environmentalists in bringing power plant construction to a halt. The state’s climate policies are considered the most “advanced” — that is, draconian and costly — in the U.S. Meanwhile PG&E has sought bankruptcy protection before as a result of perverse policies. The state has also always been renowned for the size and scope of its natural disasters. There is no doubt that California’s wildfires in the past two years were the most deadly and destructive in the state’s history, but their deadliness and destructiveness were not primarily a function of their “unprecedented” size, but of the fact that more people have — with state and municipal approval — been building more valuable property in wildfire-prone areas. Ill-thought-out fire-suppression policies are also reckoned to have increased the incidence of larger fires. PG&E has been obliged by the state to run power lines to these new or growing wildfire-prone neighbourhoods, thus increasing the possibility of lines coming into contact with dry wood and sparking a fire. Although PG&E has been trying to minimize these risks, they appear to have been the source of many of the blazes. The other key factor in PG&E’s need to seek bankruptcy protection is state laws that impose liability even where there has been no negligence. Another false conclusion from this fiasco is that it justifies and requires corporations to line up for more monitoring of their emissions and climate programs, as CDP might have us believe. But who and what exactly is the CDP? The Carbon Disclosure Project was reportedly founded in 2000 with money from Rockefeller Philanthropy Advisors (CDP did not respond to questions about its founders, backers and past chairpersons), which is closely linked to forces that have been trying to close down the Alberta oilsands and which also supports initiatives such as the late Maurice Strong’s subversive Earth Charter. Carbon Disclosure’s clever founding concept was to drum up professed climate concern among big investors, who were already being softened up by radical NGO campaigns. In some cases — such as those of state-run or state-influenced pension funds — the institutions required no softening up. CDP then began writing letters on behalf of these concerned investors to every public company on earth, starting with the 500 largest, demanding the disclosure of emissions and climate programs. It took bravery to refuse to sign up. No executive wanted to be screamed down as a climate denier. It has been suggested that companies were merely “erring on the side of caution.” They were actually erring on the side of hysteria. The CDP isn’t a scientific organization. It has no political legitimacy (although it receives government money). Nobody gave it “social licence” except the big investors that allowed it to be their mouthpiece, and the companies that agree to be rated. Moreover, its fundamental rationale — that concern about the impact on corporations of climate change is driven by shareholders — is bogus. While activist investors make lots of noise, and can proliferate climate resolutions at AGMs, average shareholders show little interest in applying pressure on directors to get out in front of the climate crusade.